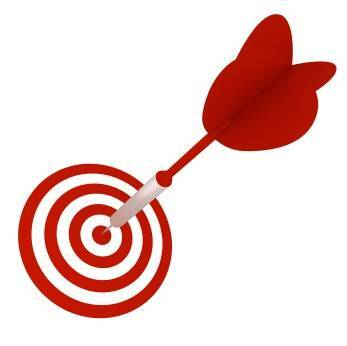 INSIGHTOVATION® Consulting | Where is your sweet spot? 5 steps to creating your matrix of specialization. Where is your sweet spot? 5 steps to creating your matrix of specialization. 22 Mar Where is your sweet spot? 5 steps to creating your matrix of specialization. The first question I asked both was, “Where is your sweet spot?” After the raised eyebrows relaxed, we explored this relevant question. At first due to the seemingly limitless potential of both individuals, neither knew exactly how to answer. To help guide their thinking I walked them through creating a personal “matrix of specialization”. It is one way to look at the options of where to focus your professional efforts in a more organized way. The good news is that it is very easy to do. 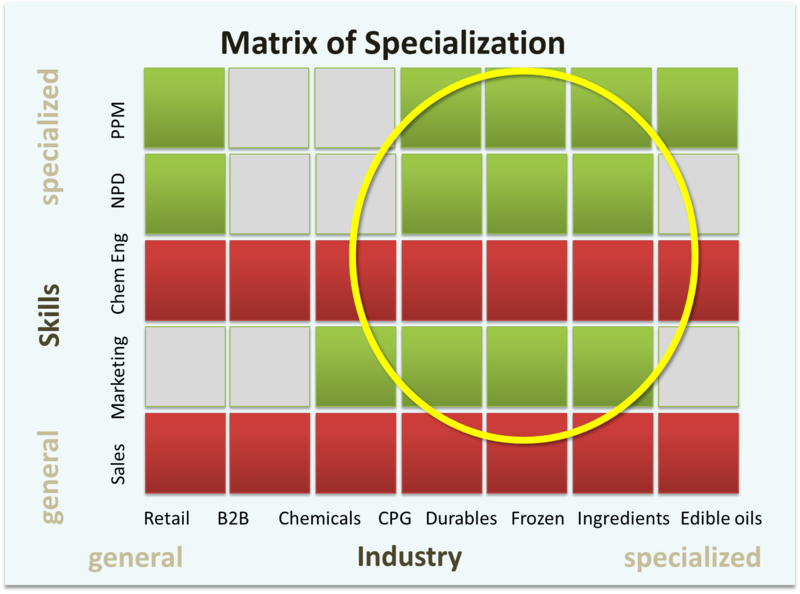 Here are the five steps of creating a matrix of specialization. Answer two initial questions. Are you a generalist or specialist in your profession(s) or life roles? Are the industries in which you have worked general or highly specialized? Expand the 2X2 detail to the next level of granularity. 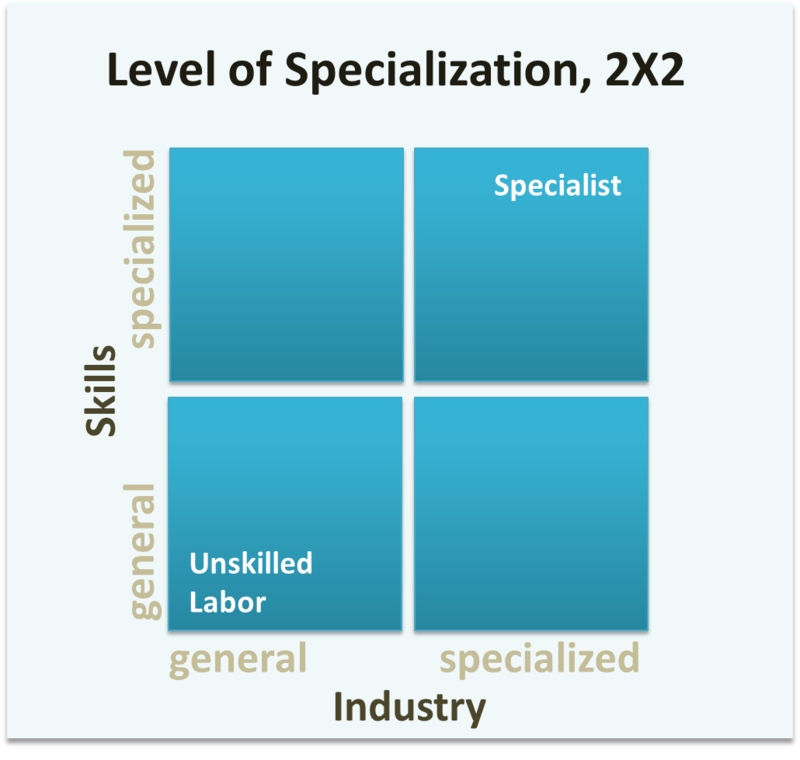 All industries are listed left to right (still using a progression of general to highly specialized industries) and all specific skill sets are listed bottom to top (general to specialized skills). Plot education, training and experience within skill sets and plot hobbies, past-times and personal and recreational pursuits or interests along the industry access. Add color coding, green to visually label industries or skills that are exciting, interesting and enjoyable, or conversely, red to those be avoided as uninteresting, miserable or frustrating etc. A visual picture of your sweet spot should start to emerge. The benefits to a focused approach to your sweet spot are many. You can leverage this self-knowledge in any professional communication in which you engage. It completes the sentence, “My focus is…” in your elevator pitch. It can be the start of or fine tuning of your personal brand. You can use it as a consistent foundation for your business, marketing or social media strategy. Knowing your sweet spot can help you focus your professional resume. Self-knowledge is not enough, however. You must be disciplined in your application of this self-knowledge and know when you are straying too far from your sweet spot. Personal branding is most effective when it is consistent. What if you don’t have the skills or industry experience you want? You don’t like your sweet spot, what then? Reverse map it. What are the general and specific skills you need to get to the place you want to be? What are the general or highly specialized industries in which you want to participate? Next, set a path forward for the training and experience necessary to own a different spot on the matrix of specialization. My two friends completed a draft of their matrix within the hour and both set off confidently to claim the spot that had been uniquely theirs all along. Karen Dworaczyk is a marketing professional who focuses on people, product and portfolio productivity.